High foaming cleansers can be harsh and dehydrating on the skin. 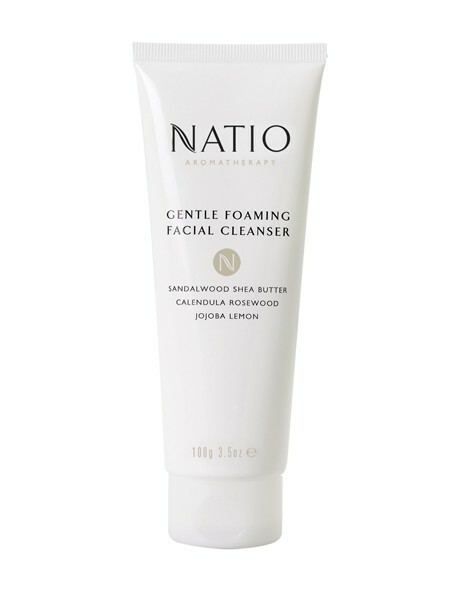 Therefore, the low, almost no foam of Natio's Gentle Foaming Facial Cleanser is one of the product's best features. The mild, non-drying formula of the unique micro-fine foam leaves skin deeply cleansed, refreshed and glowing, while maintaining skin's natural moisture balance. Water (Aqua), Stearic Acid, Propylene Glycol, Glycerin, PEG-7 Glyceryl Cocoate, Calendula Officinalis Flower Extract, Simmondsia Chinensis (Jojoba) Seed Oil, Butyrospermum Parkii (Shea Butter) Fruit, Aniba Rosaeodora (Rosewood) Wood Oil, Santalum Album (Sandalwood) Oil, Citrus Medica Limonum (Lemon) Peel Oil, Fragrance (Parfum), Carbomer, Phenoxyethanol, Methylparaben, Propylparaben, Disodium EDTA, Potassium Hydroxide.